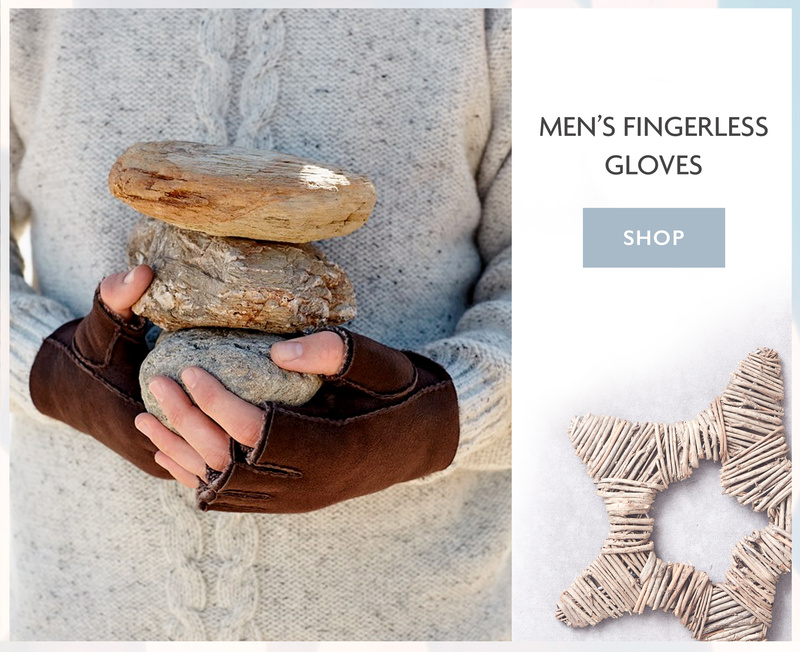 Christmas Gifts for Him | Celtic & Co. There is nothing quite like the feeling of giving a thoughtful gift to someone you love, especially at Christmas. Whether you’re looking for a loved one, family member or friend, here at Celtic & Co. we have a fantastic online selection of men’s Christmas gift ideas. Discover our top 10 gifts from Celtic & Co. and share something beautiful this Christmas. Our collection is crafted to be both cosy and stylish throughout the year, offering the perfect Christmas present ideas for your loved ones. 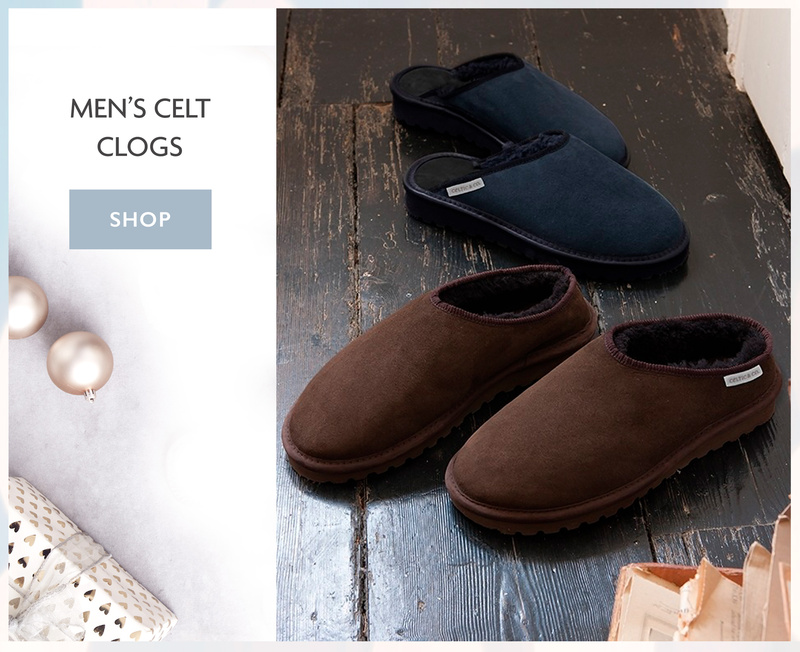 Enjoy cosy movie nights in together, complete with a pair of 100% sheepskin clogs from Celtic & Co. 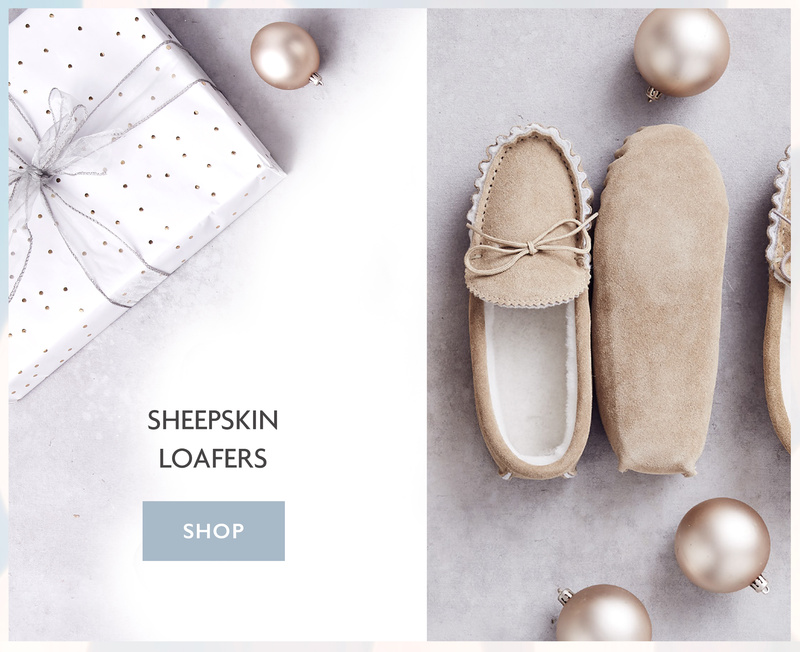 There is nothing quite like the feeling of soft, pure sheepskin and this pair of slippers will ensure that feet are warm and cosy throughout winter. 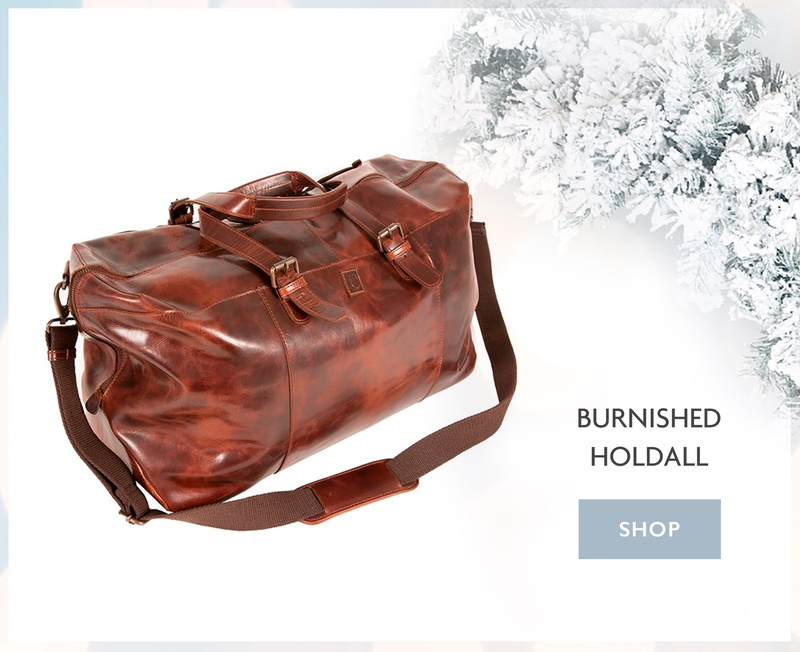 A timeless, classic design; treat your loved one to this stunning 100% leather holdall from Celtic & Co. Perfect for a romantic weekend break or exploring the great outdoors. With short handles and a long shoulder strap, our leather holdall also features a large front pocket and internal compartments to organise essentials. Make winter walks along the coast cosy and comfortable in these beautiful and water-resistant sheepskin boots. Designed to keep feet warm and dry, they are the perfect gift for a man who enjoys exploring the great outdoors. 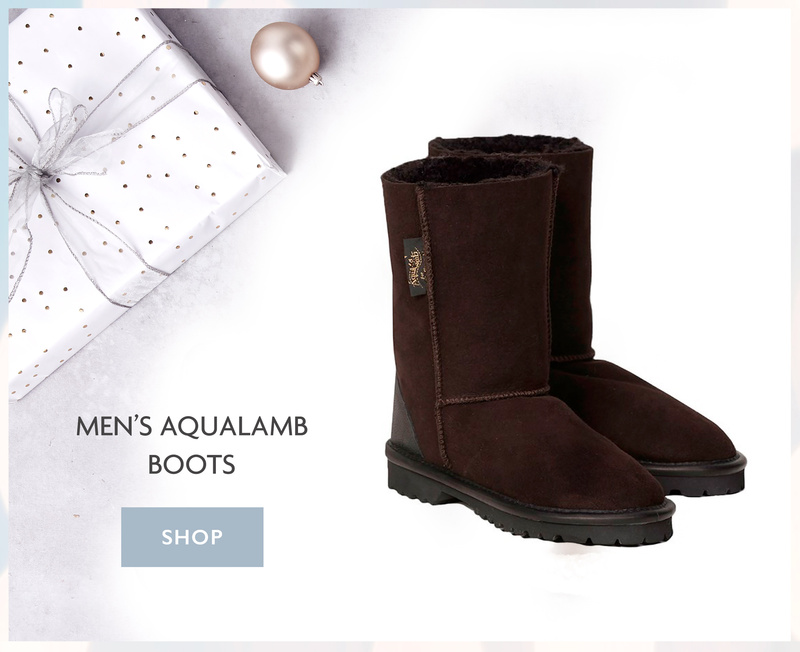 Made in Great Britain and from 100% sheepskin, our Men’s Aqualamb boots are a practical yet perfect gift idea this festive season. Guaranteed to keep hands warm during the colder months of the year, shop our 100% sheepskin fingerless gloves from Celtic & Co. Perfect for keeping palms warm whilst outside, but without restricting or limiting movement and grip, they are a fabulous gift for a man who is always on the go. After a long day, there is no better feeling than coming home and putting on a pair of comfy slippers. 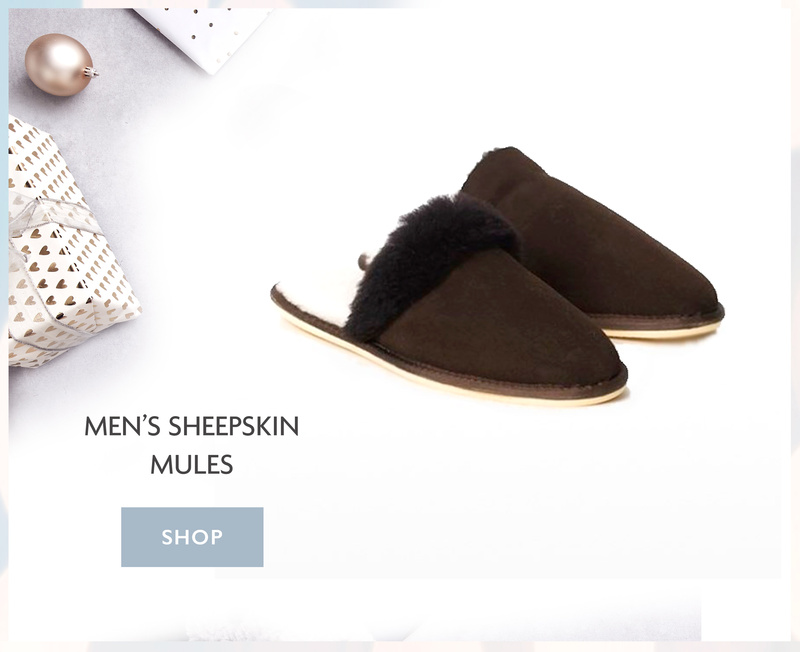 This Christmas share the gift of 100% British sheepskin and treat your loved one to our signature Men’s Bootee Slippers. They can even be personalised making them a truly unique gift. Choose from our range of colours, including burnt honey, navy, mocca, black and khaki. 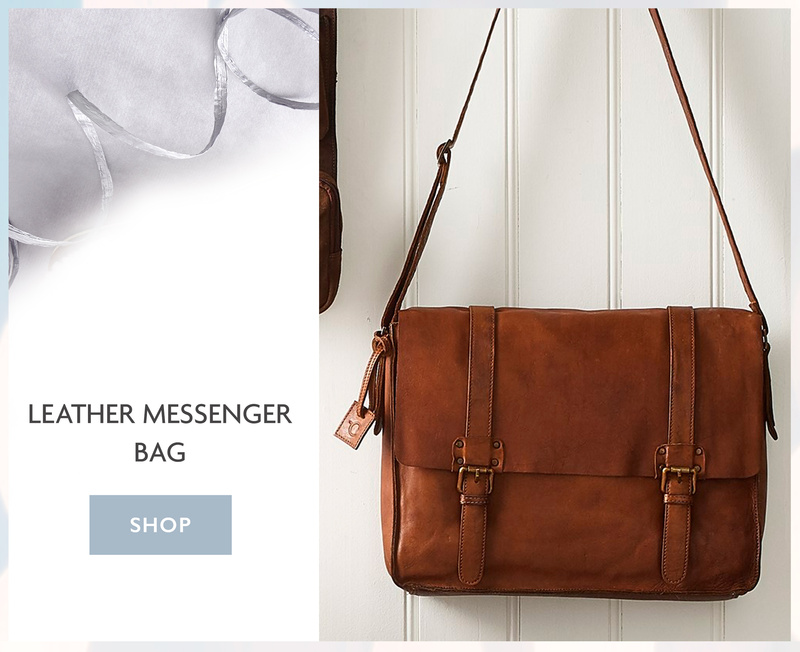 Crafted with 100% aged brown leather, this messenger bag is perfect for anyone who commutes to work or enjoys travelling. With room for a laptop, notepad, mobile phone and any other daily essentials, it is a fantastic gift for the festive season. 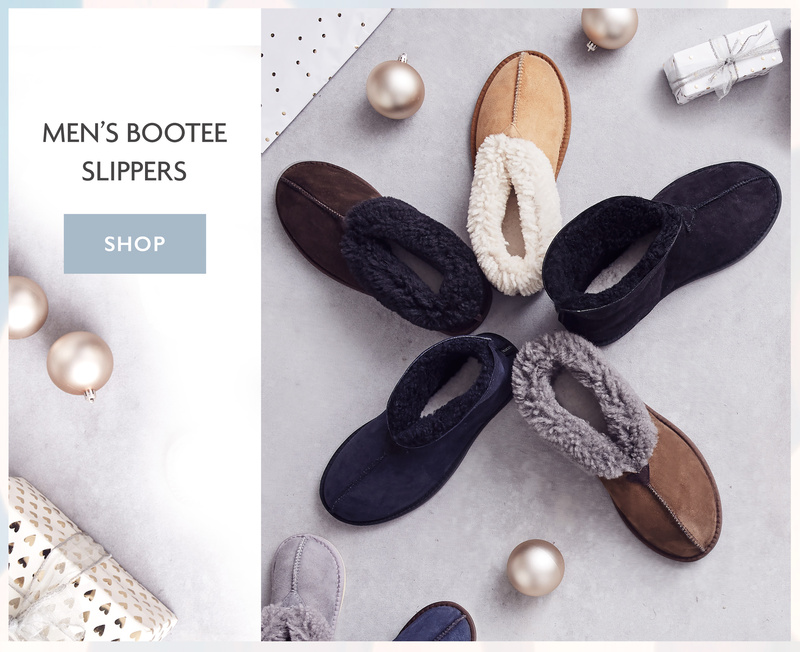 Christmas is a wonderful time of year to make lifelong memories with those special people around you, during cosy nights in front of the fire, enjoy these moments in the comfort of pure sheepskin mules. With a fluffy cuff that can be worn up or down, they will offer warmth and durability all year round. 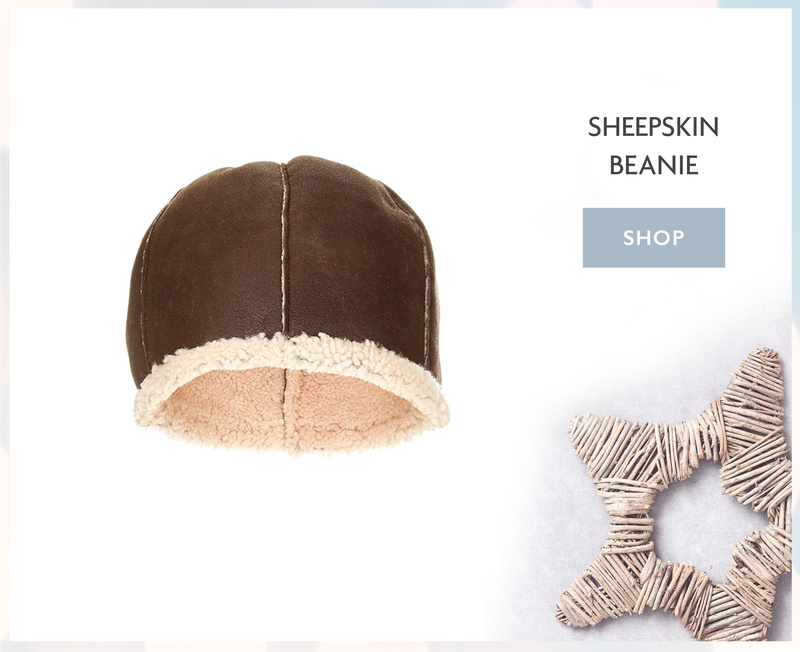 If they enjoy exploring outdoors, our 100% sheepskin beanie is the perfect gift this Christmas. Made in Great Britain, it will complete their winter wardrobe and provide a little extra warmth during the festive season. Available to order online now, in two colourways. Crafted from the finest suede and traditionally handmade in England, our Sheepskin Loafers are the perfect Christmas gift. With hand-crimped edges, they are perfectly handcrafted and will last many years to come. Share the gift of falling in love with pure sheepskin this Christmas with Celtic & Co.
Made in Britain from a yarn that combines durable wool with super soft silk, this chunky crew neck is a wardrobe staple for seasons to come. 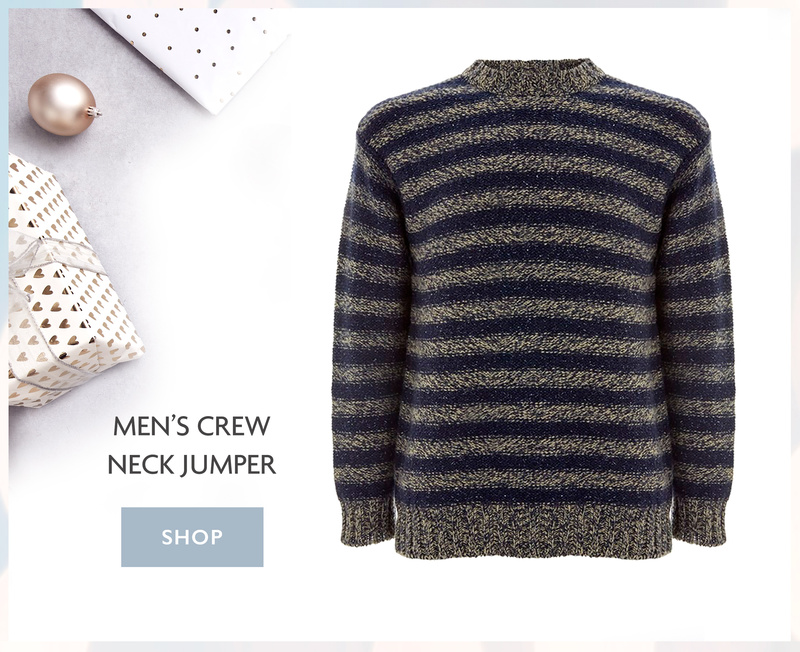 This stunning jumper features a timeless striped marl pattern which, when paired with jeans, creates a relaxed and classic style that’s perfect for city or seaside living.